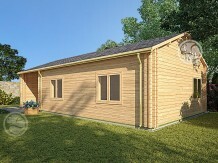 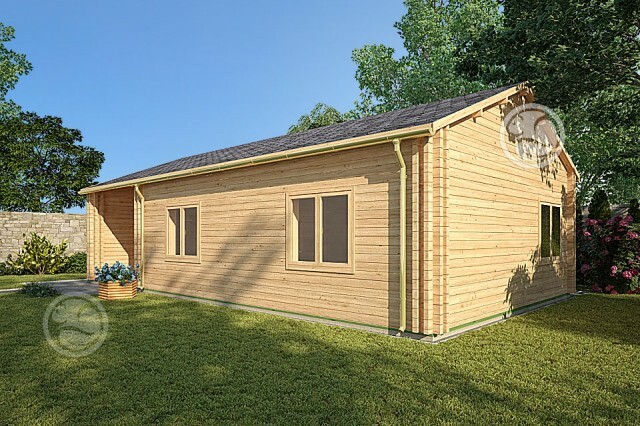 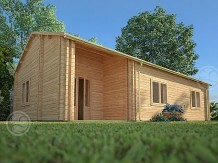 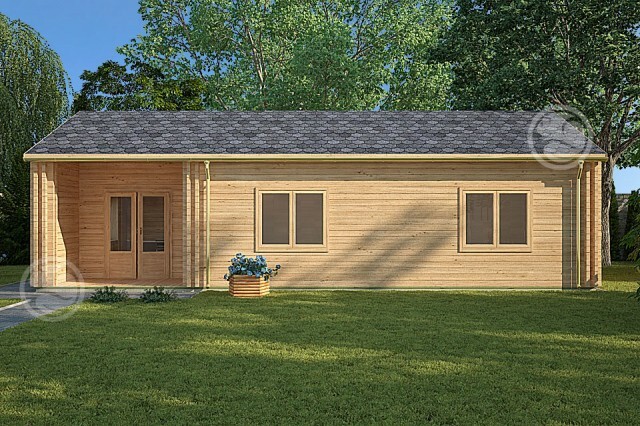 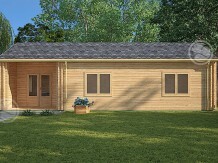 Offering exceptionally well proportioned bed and bathrooms this cabin combines outdoor life with luxury accommodation. 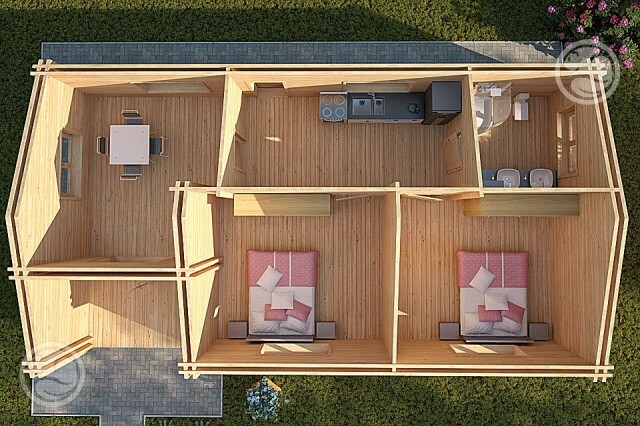 The galley style kitchen provides enough space for all the appliances and workspace needed to entertain or feed a family, whilst the living area absorbs people providing space for everyone to relax in comfort. 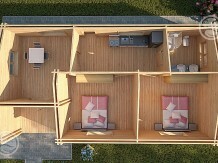 Each room within this cabin is has a huge floor area and this is accentuated by the high vaulted ceiling, reaching almost 4 meters at the apex. 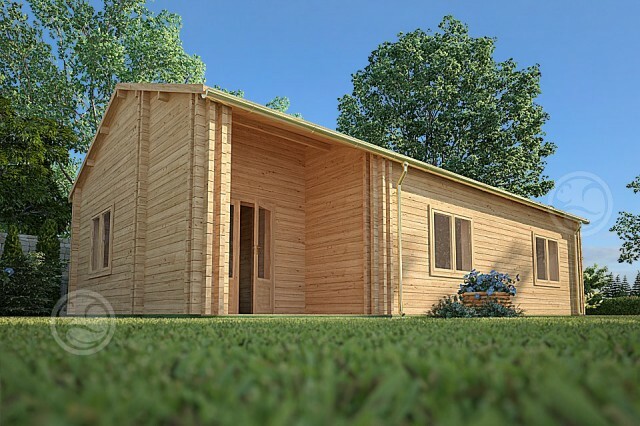 Not only does the roof line absorb family noise but cools the cabin in the height of summer ensuring comfort for all.